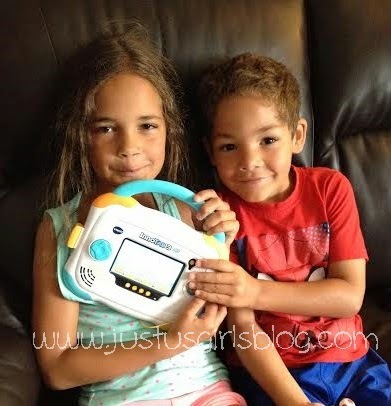 Last Summer Kristin shared with you all her and her daughter's experience with the VTech InnoTab 3. Today I want to share with you another great product from VTech, which is their InnoTab 3 Baby. This is a tablet that is designed for toddlers as young as one year old to kids that are up to the age of nine. Although my little one isn't here yet, so she won't be using this tablet for a while, I thought I'd try it out on both my six and eight year old. I love that there is now a tablet designed for toddlers. With families now having tablets and smartphones, it's only right that there is something for the toddlers to enjoy. This is the perfect electronic that's safe and fun and will introduce your child into the world of electronics. One thing I love is that this tablet ranges from ages one to nine, so all three of my kids will be able to enjoy this tablet. Another thing I love is how durable the tablet is. With its removable hard case, it will definitely be hard for your little one to drop and break this tablet. The tablet comes with an easy to grab handle along with a stylus that is designed easy for little hands to grab on to, this InnoTab 3 Baby will make the perfect gift for your little ones first birthday. Not only will this be a fun toy for them to play with, but it will also be teaching them great motor skills when holding the tablet as well as using the stylus. I love that when you first turn on the tablet, you can personally customize it with your child's name. You can also choose a picture for your profile or take one of your little one. The tablet comes with 18 apps to start off with that teaches your little one shapes, numbers, sign language and much more. It comes with an MP3 player and the best part is, you can add your kid's favorite tunes on the tablet for them to enjoy. It also comes with a built in camera and microphone, which your little one will definitely enjoy. My kids have already made a video for their little sister to enjoy when she's old enough to play with her tablet. When you find something that all of your kids that are different ages can use and play with, you get. My two kiddos have been having a ball taking pictures and leaving messages for their soon to be sister. Not only are there games and apps included on the tablet, but there are also hundreds cartridges you can purchase that include some of your kid's favorite characters from movies and TV shows, you can also downloadable apps you can get by logging in to the Learning Log online. The tablet comes in two colors, pink and blue and is retailed at $79.99. Be sure to head on over to VTech Canada's website to find out more about the InnoTab 3 Baby as well as other products. Disclosure: All opinions are my own. 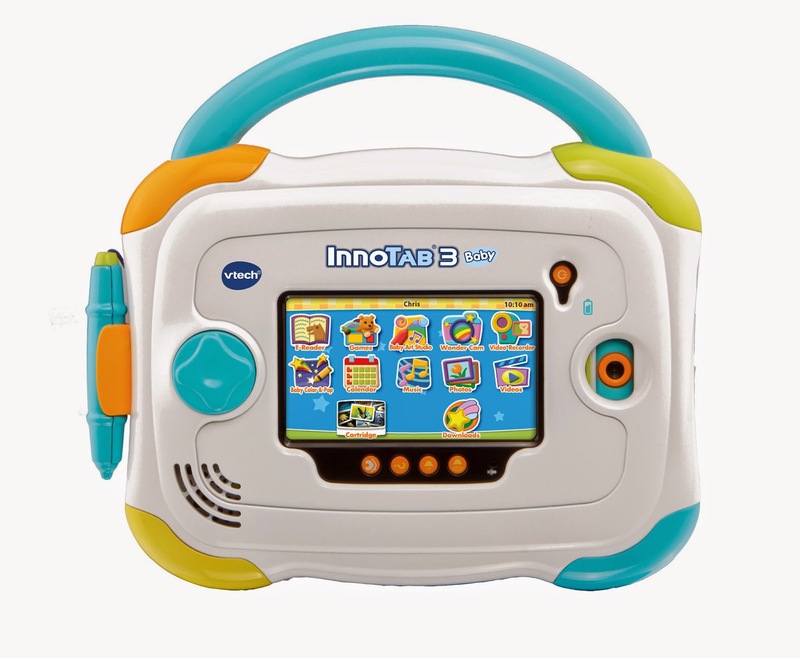 I received a Vtech Innotab 3 Baby at no cost for the purpose of this review. No other compensation was received.